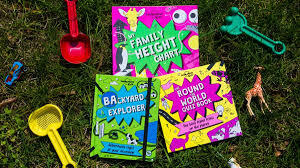 Lonely Planet Kids release new family activity books Backyard Explorer, The Round the World Quiz Book and My Family Height Chart! Stick these three new books on your reading list before the summer! 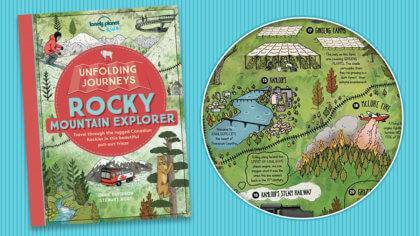 Lonely Planet Kids have just brought out a load of new family activity books! They’re a cool way to learn more about the planet and explore what’s around us! 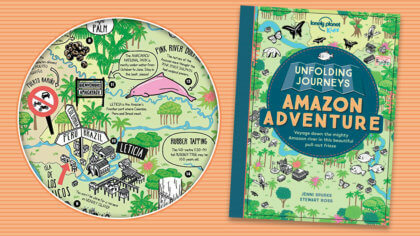 Explore your surroundings in a whole new way with this brilliant fill-in journal from Lonely Planet Kids. Go cloudspotting, make a skyline collage, design your dream house, create your very own time capsule and lots more. Can you take on the world? Challenge your friends and family to the ultimate quiz. This book is packed with more than 500 questions about our amazing planet to boggle your brain and blow your mind! Measuring your height has never been so much fun! This fun pull-out height chart is more than two metres (6.5 feet) tall, and covered with the tallest, smallest, weirdest and wackiest things to size yourself up to. Are you taller than the world’s biggest bunny? How does Dad match up to the biggest recorded king cobra snake? Plus over 80 colourful stickers to add and keep a record of your growth. You can follow Lonely Planet Kids on PopJam @LonelyPlanetKids and all of the Lonely Planet Kids books can be found and bought on the official website, just click the link below. Discover the amazing environments on our planet with Lonely Planet Kids Let’s Explore sticker books. Packed with fascinating facts, puzzles to solve and pages to colour and complete.